After trying the Life of Fred for math and Caroline shooting it down in flames, I admit I was a bit concerned she would do the same thing with Grapevine. In fact, I even waited a couple of weeks before I tried it out on her so as not to introduce too many news things at once. Caroline is not fond of writing but she LOVES to draw so stick figuring through the Bible is the perfect way for us to do Bible together. The biggest challenge is keeping her to the basic stick figures because in her world everything is better with embellishment! But it works out fine because she keeps busy with her embellishments while I’m reading the passages. The lessons are very straightforward and easy to prepare/use. I’m using the digital version so I print off a bunch of pages at a time for my teacher binder and Caroline’s book. There is minimal prep which I really appreciate. I installed a whiteboard for this school year that is low to the ground. I did it that way so Caroline could sit on the floor and draw on it whenever she wanted. 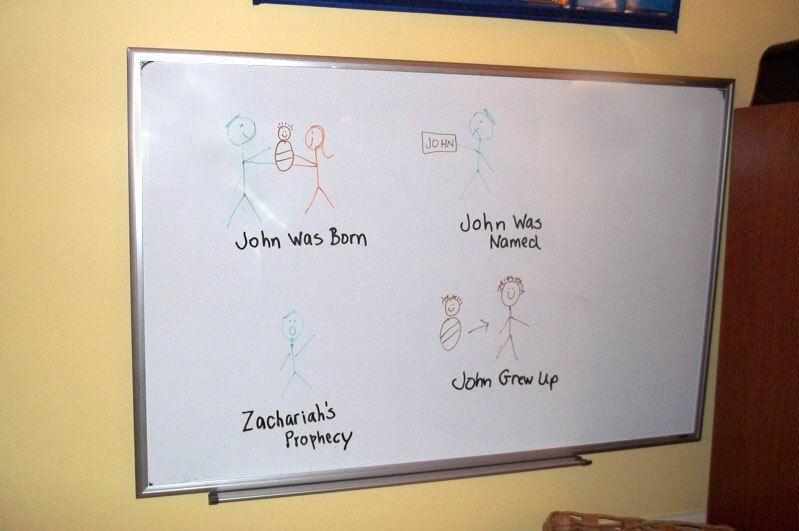 So when we do Bible, we sit on the floor and I do my drawings on the whiteboard and she does them on her sheet. This is a nice change of pace for us and she is always eager to get to Bible time! Overall, I’m very pleased with our experience so far. It truly could not have gone any better. I’m just sorry I waited a few extra weeks to get started! 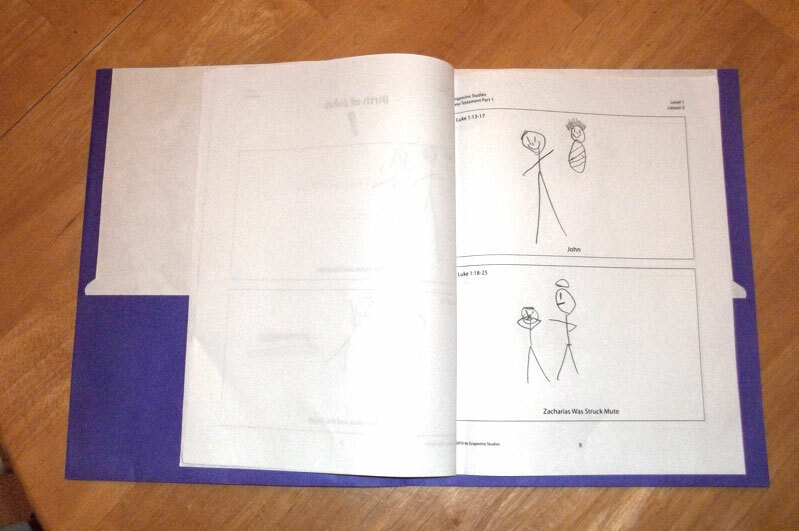 I highly recommend the curriculum, especially for children who are reluctant writers but do love to draw. 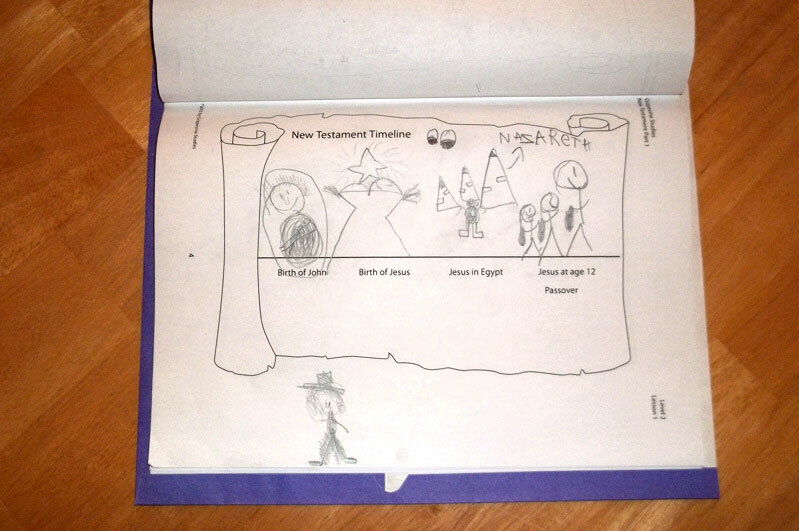 I think this is probably the perfect Bible curriculum for them. 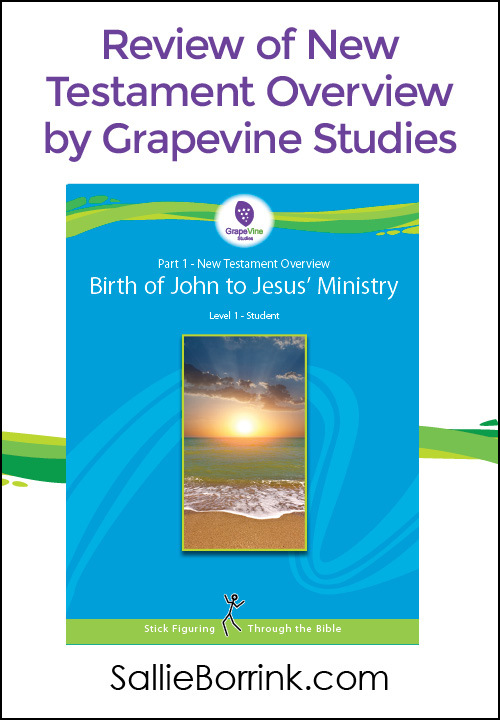 Click here to visit Grapevine Studies and see the variety of topics the offer at every grade level. I love the red trees! 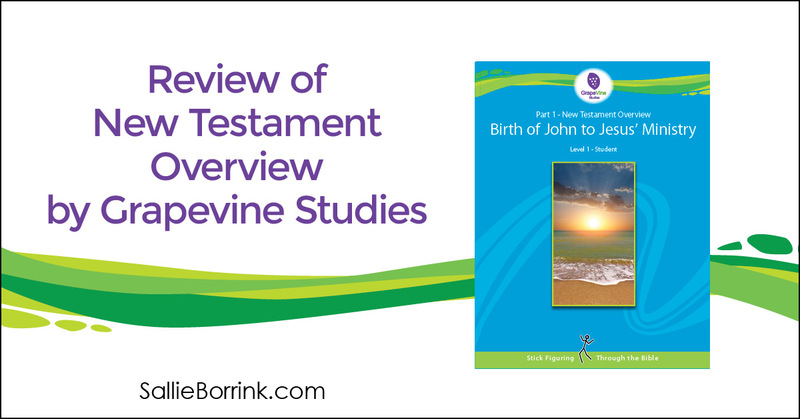 We are doing the Old Testament right now and love it! If I had to pick just one color I would go with the bright yellows. Orange! I think they are maple? I’ve been “eyeballing” the NT study for a few weeks. I’d love to win it and start our study soon!